NASA selected Boeing in December 2007 to built the third generation of TDRS (Tracking & Data Relay Satellite) data relay satellites. They are the successors of the second generation TDRS satellites. This contract includes the design and manufacturing of the TDRS-K series satellites as well as upgrades to NASA's TDRS system ground terminals. A pair of 15-foot-diameter, flexible mesh antenna reflectors fold up for launch, then spring back into their original cupped circular shape on orbit. These steerable, single-access antennas can simultaneously transmit and receive at S-band and either Ku- or Ka-band, supporting dual independent two-way communication. The selection of Ku- or Ka-band communications is done on the ground. In addition, an S-band phased array antenna can receive signals from several spacecraft at once, while transmitting to one. Two more satellites are currently planned. 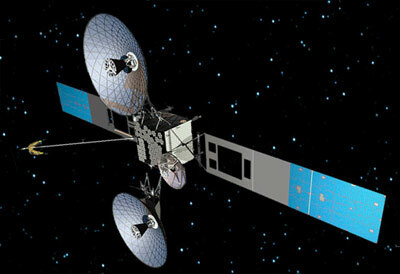 The option for the third satellite, TDRS-M, was exercised in November 2011. The TDRS-K satellite was launched in 2013, and TDRS-L in 2014, both on Atlas-5(401) launch vehicles. TDRS-M is planned to be ready for launch in late 2015, but will be delayed, as no launch vehicle has been procured by now. The option for TDRS-N was not exercised.